As you can see from the picture above, hunting the latest season in Colorado can cause some problems if you are driving to fast. 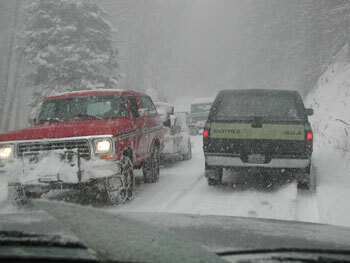 Pictured below are hunters on the left heading down from the mountains as a snow storm on November 10th gets heavy. 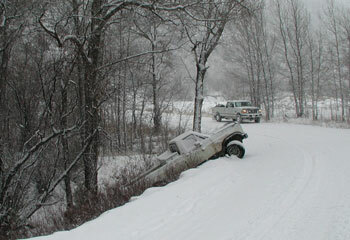 The third season was ending on November 10th and some hunters were heading out a little early that day to avoid heavy snow. Fourth season hunters are hoping the snow will push the elk to lower elevations.